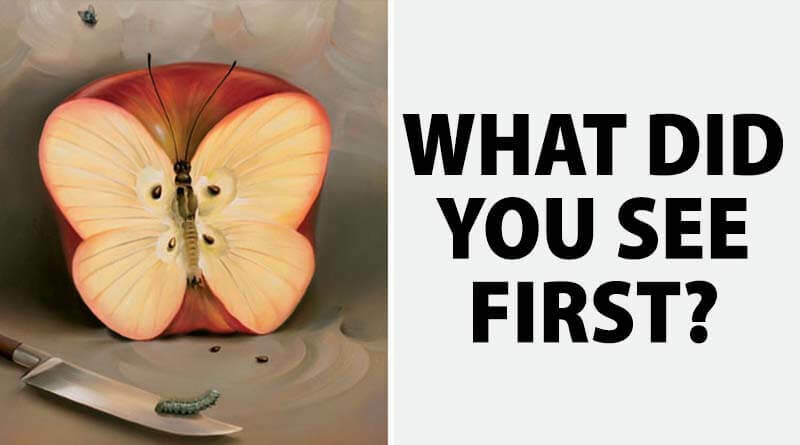 What You See First In This Picture Reveals Your Subconscious Fear - ShareIt! What is the hidden fear of your subconscious mind? Perhaps you are consciously all-too aware of your fear of spiders or clowns, but what other deep-rooted fears are kicking around in your subconscious? Take a look at the Vladimir Kush painting below below. What do you notice first? Now, remember your answer, and scroll down for an analysis of your choice! Scroll down to discover what your subconscious fear is! Your subconscious fear is terminal illnesses. You have a fear that you have a terminal illness without knowing it. You fear suffering and you worry you might die at any moment. Your subconscious fear is ghosts, also known as phasmophobia. It is likely you fear that ghosts or evil spirits will appear and haunt you at your weakest moments, like when you are confused or when you’re just about to fall asleep. Your subconscious fear is betrayal. Perhaps others have hurt or crossed you too many times. Maybe you’ve faced some serious rejection, whether it be a job or a dream. You do well at hiding this weakness, however. It only rears its ugly head when you’re face to face with it. Your subconscious fear is death. Not your own, mind you, but that of your loved ones. Perhaps you’ve already lost someone dear to you. With that traumatizing blow casting a shadow on your subconscious, you naturally can’t bear the thought of losing someone else.